1. 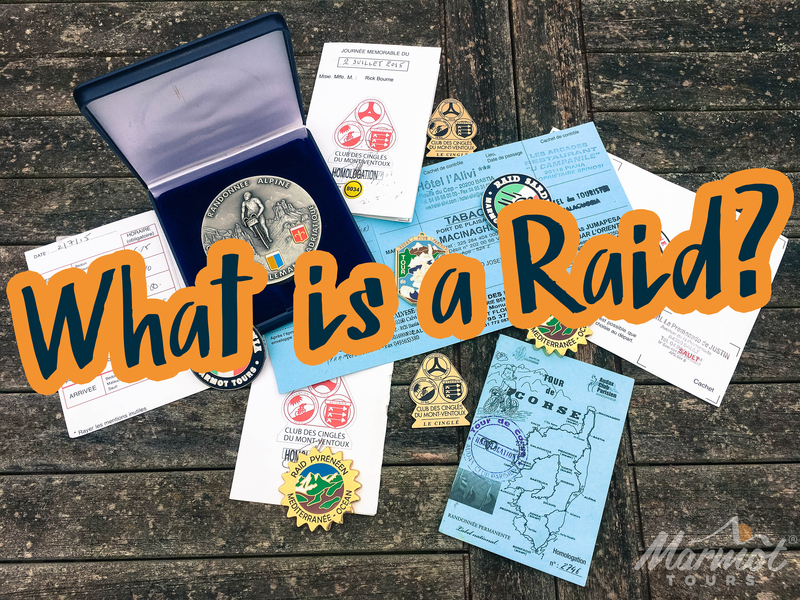 What is a Raid? A Raid, or randonnée as it is often called in French, is an organised and typically long-distance cycling event that requires participants to carry and stamp a ‘brevet card’ at various control points along the route, thus proving completion. Originating in Italy in the late nineteenth century, participants aimed to cover as much distance as possible with a view to proving themselves as audax (translated as bold/audacious) The event saw 12 Italian cyclists attempt to ride from Rome to Naples, a distance of 230 kilometres (140 miles), during daylight hours. These events became popular and in 1904 French journalist Henri Desgrange produced the official Audax regulations, which belonged to his newspaper Auto. His regulations required riders to ride in groups, with the winner awarded a certificate called a Brevet d’Audax. Before long the Audax Club Parisien (ACP) was formed, tasked with the organisation of Audax events on Desgrange’s behalf. In 1920 Desgrance and the ACP parted ways after Desgrange withdrew ACP’s permission to organise events under his new Audax regulations. This ultimately led to the ACP creating its own more relaxed version of the sport, with successful riders awarded certificates called Brevets des Randonneurs. This format is now popularly known as randonneuring, or Raiding, and is the sport we enjoy today. Celebrations on the Med at the end of another successful Raid Pyrenean adventure. 2. Raids vs ‘Classic Cols’ – what’s the difference? We’re often asked what the difference is between a Raid and our popular ‘Classic Cols’ style European mountain cycling holidays. Well it all boils down to flexibility and route choice. A Raid is often a linear route (e.g. from Geneva to Trieste, as per the Raid Dolomites) which requires riders to check in at pre-defined locations. On the other hand, our ‘Classic Cols’ format is, at its very core, flexible. There are two route choices each day, being the Classic and Challenge routes. These allow a rider to pick and choose how easy or hard their day is going to be, and is perfect for mixed ability groups/clubs or couples who want to ride together, but have different aspirations in terms of climbing, distance and speed. 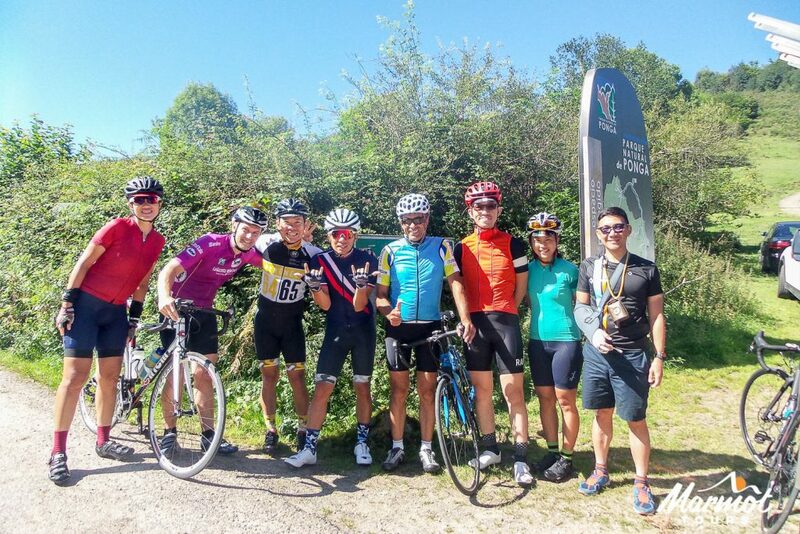 Group shot on the ‘Classic Cols’ of the Picos & l’Angliru trip. 3. What’s the most difficult cycling holiday? You would be forgiven for thinking that the Classic Cols trips are all easier than the Raids, and whilst the Classic route is designed to be achievable, one could easily make a Classic Cols trip harder than a Raid by competing all of the Challenge options. The Classic Cols of the Picos & Angliru trip is a fine example, with the Challenge options costing you 826km and 16,800m of vertical ascent. Compare that to the Raid Pyrenean with its 735km and 12,840m of ascent, or the Raid Alpine (North to South) with its 760km route and 14,600m of ascent. Madame Chabrol stamping carnet cards in an old village petrol station in rural France on the Raid du Massif Central. 4. I’m worried a Raid might be too hard for me, are there any easier Raids? Yes there are! The shortest official Raid we run is called the Cingles Challenge and focuses entirely on the Giant of Provence – Mont Ventoux. 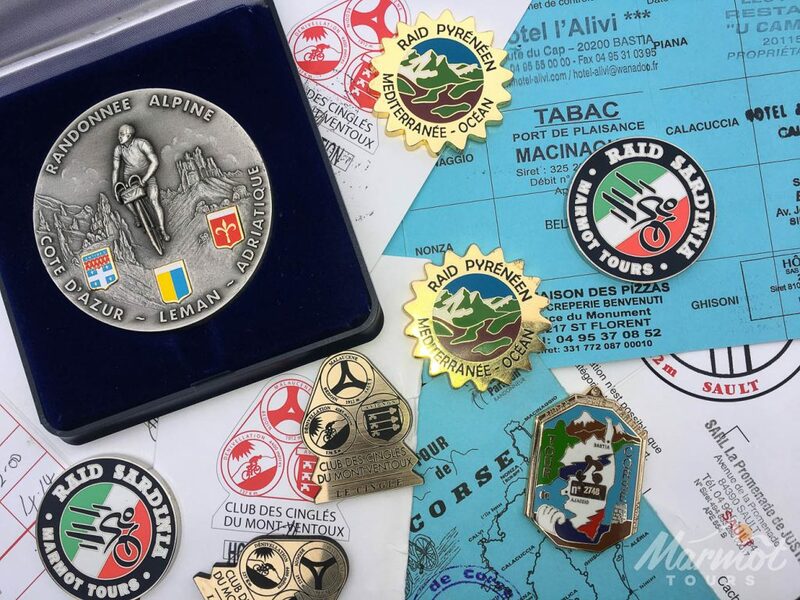 Rather than the typical linear routes of the Raid Sardinia or the Raid Corsica, the Cingles Challenge requires cyclists ride up all three roads to the summit of Mont Ventoux inside of a day, stamping their brevet cards, or carnets, as they go. Once complete, we at Marmot Tours send all of the stamped cards away to the Fédération Française de cyclotourisme to be verified, with completion medals and verified brevet cards being sent to the riders home address. The names of all successful riders are also added to the Club des Cinglés du Mont-Ventoux website, for all to see. Marmot Tours client Colun Dunn completed the challenge with us a few years back and you can read about his trip by clicking here. It made such an impression on him that he went and got the Cingles logo tattooed on his calf. Chapeau! 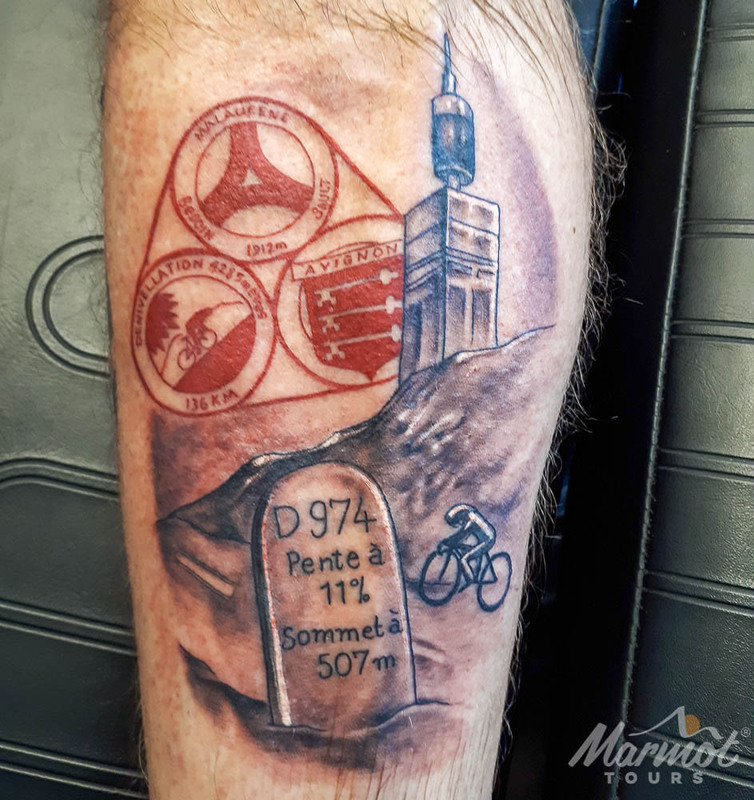 Dedicated Marmot Tours rider Colin got this souvenir tattoo done after completing the Cingles Challenge trip with us. 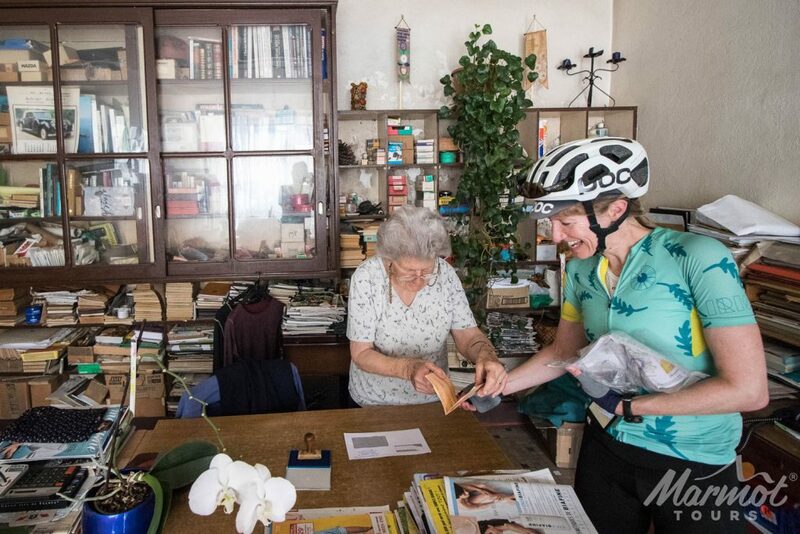 You can read more about cycling up Ventoux and the surrounding area by checking out this blog by loyal Marmot Tours rider Emma Potter, inspired by her recent Ventoux & the Verdon Gorge ‘Classic Cols’ trip with us. Emma has ridden many of our trips, including the Raid Alpine. You can read her thoughts on that trip here. Basically, if you’re considering a Raid, give it a go! Hopefully we’ve managed to convince you that whatever your ability or aspirations, Marmot Tours has got a trip out there to suit you.